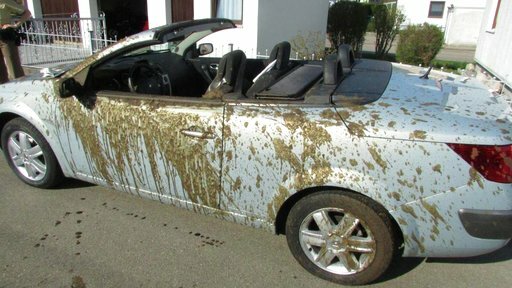 BERLIN (AP) — One can only imagine the expletives uttered by a Bavarian driver and his teenage daughter after a farmer accidentally filled their convertible with a trailer full of manure. German police say the incident happened Saturday near the town of Altomuenster, about 30 kilometers (19 miles) northwest of Munich. The 52-year-old father and his 14-year-old daughter were parked by the roadside when a tractor pulling a trailer of liquid manure swung in their direction. The maneuver sent the entire load pouring into their Renault convertible, covering the occupants from head to toe with slurry. In a statement Monday, police said the car is likely a write-off. 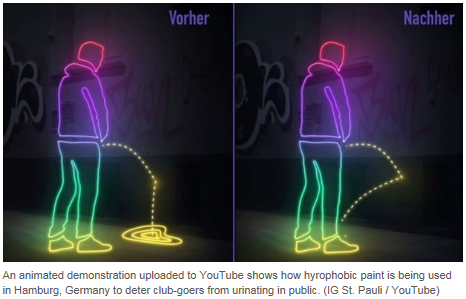 Others point out that public urinators could simply “pee diagonally” to avoid any splash-back. Togbe Ngoryifia Céphas Kosi Bansah, a.k.a King Bansah of the Hohoe, is a real African king who doesn’t believe in old-fashioned methods of governance. He prefers to live in Germany and rules his subjects via Skype! The 66-year-old king moved to Germany several years ago as a foreign exchange student – he fell in love with the country and decided to stay. Interestingly, King Bansah was named successor to the crown in 1987, when his grandfather – the reigning king – died. He was chosen over his father and older brother, simply because they were left handed. The trait is apparently considered unclean and indicative of dishonesty in Hohoe. It might be a loo with a view, but a newly opened hotel in Berlin is giving passers-by a bit of an eyeful. For some unknown reason, the architect who designed the restaurant area in the 25hours Hotel Bikini Berlin thought the toilets should be placed next to the floor-to-ceiling windows, despite the building being only ten storeys tall. 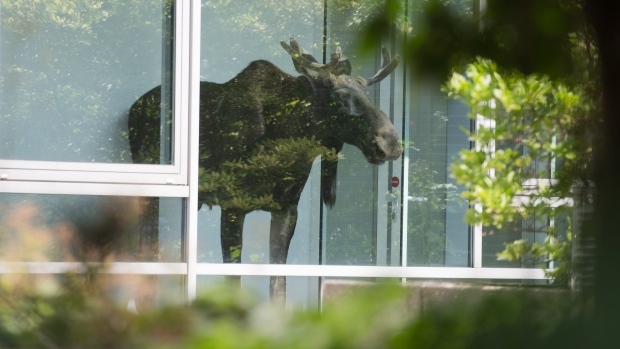 The hotel, which offers spectacular views of the Berlin Zoo, unfortunately also now offers eagle-eyed pedestrians another sight if they look up.